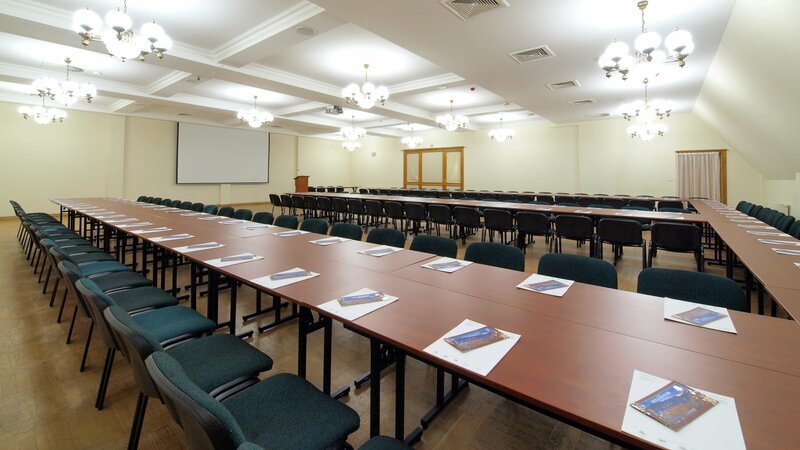 A conference room with highly comfortable conditions for both business meetings and elegant banquets. The chandelier light creates a very pleasant mood, and the parquet is an excellent dance floor. The room can accommodate up to 320 people seated theatre-style. The room is air-conditioned and has the necessary audiovisual equipment. There is an additional advantage: the sessions and video from the room can be broadcast live to the Weniawa Room one level below.